There’s been much high end academic research and political debate about the relative costs and benefits of transitioning to low carbon societies and renewable energy sources in countries with industrially developed and developing economies alike. There’s likely to be a lot more going forward, particularly as United Nations Conference of Parties to the Kyoto Protocol members continue their quest to hammer out a successor to the Kyoto Protocol by next December when they meet in Copenhagen, and as the Obama administration and the US Congress set their agenda for the first year of a new presidency. 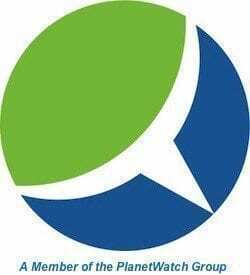 Fortunately, there’s a growing roster of emerging companies establishing themselves across the renewable energy space. Nevada-based Ormat Technologies is one of them. Geothermal power has been one of the most overlooked yet potentially cleanest, longest lasting, widespread and practical of renewable energy resources. With relatively little in the way of government support or incentives and faced with a deepening credit crisis, Ormat management continues to remain upbeat about their company’s, and geothermal power’s, prospects. 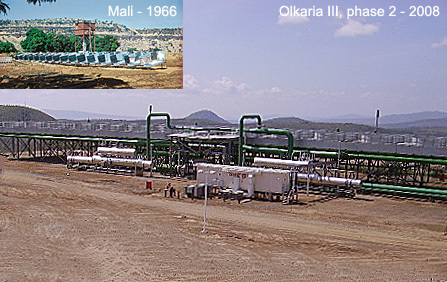 They announced their latest success n December 4 at an American Council of Renewable Energy Event: completion of Phase 2 construction at the Olkaria III geothermal plant in Kenya. At a time when US lawmakers are doling out billions and billions to support failed managements across the US business landscape, projects such as these offer stark, persuasive evidence illustrating how the transition to low carbon societies and renewable energy resources can stimulate sustainable, economic growth. Connected to the grid, the geothermal power plant is generating 35 MW of baseload capacity at 97%-99% availability, adding to an existing 13 MW plant that has been in operation since 2001. The power plant will save some 120,000 tons of imported oil while mitigating approximately 200,000 tons of carbon dioxide emissions per year. The cost of electricity to Kenyan consumers will actually be lower while this is accomplished. 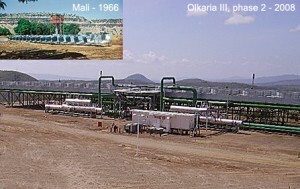 Olkaria III’s output is bought by Kenya Powr and Lighting Company, the local transmission, distribution and retail utility. These benefits are especially valuable in a developing country with limited foreign exchange reserves seeking to develop its own domestic human and natural resources and markets. The plant’s operations team is made up entirely of skilled locals who receive on the job training, competitive wages and indirect benefits. Ormat has built and maintains a modern staff village that includes entertainment facilities, a library and playground. It also assists the local community in areas such as developing schools and education and health matters. As long leaders prioritise their own countries over the welfare of the planet there is little hope for future life on Earth as we know it. Not only will biological diversity be reduced to a small fraction but human life will be drastically affected. The same applies for allowing the human population to expand without control.